A copy of Pinyon Publishing’s latest publication, Between Question and Answer, Selected Poems of Ute von Funcke (translated from the German by Stuart Friebert) was in my mailbox upon my return to New Iberia, Louisiana two days ago. I placed it on my bedside table, knowing that a review of this book of poetry would require quiet reading time as it reflects the author’s deep interest in philosophy, psychology, and mythical writing. I don’t think that I can offer a more profound review than the one Christiane Wyrwa achieves in the Introduction to this volume, but I feel the power of the poetry demands many readers’ voices acknowledging Ute von Funcke’s artistry and Friebert’s expert translations. In the first section of Between Question and Answer, the poem “Disturbing, Disrupting Incident,” impressed me with the emotional depth in the sensory, household chore of drying clothes in the outdoors. “On the clothes-line between/apple tree and summer house/fluttering forms of man and woman/many-colored almanac of the everyday/in the sun’s energy in overdrive/pants and shirts flying dolphins/memories washed by the sea/revived by drying…I like the smell/of fresh laundry/its tidings in the basket/and your blue shirt.” The poem evokes memories in readers who grew up during the era of outdoor clothes drying through such simple tableaus as the end phrase, “your blue shirt,” a “yesterday” evocation of my own childhood. In the second section I was also moved by two “homeless” poems; one about “the old man in the dense/hedgerows of the subway-jungle” and another brief one entitled “Isolated Incident": "In the act of night/the last fellow traveler/at the last terminal/I see him run in a straight line/an old fox without a burrow/behind the pillars/no air stirs/his no man’s land.” The metaphorical power in this poem presents a true picture of lost street people anywhere in the world and also elucidates Ute von Funcke’s feelings for marginalized persons. 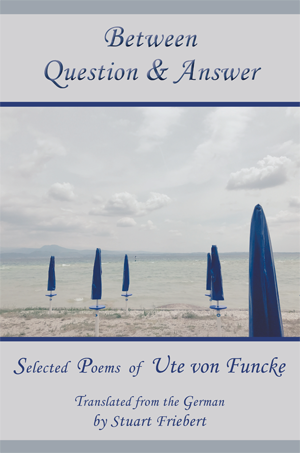 Rich phrasing dominates the work of this German poet, and Friebert faithfully translates the striking work of Ute von Funcke in accessible renditions of American English. Ute von Funcke lives in Munich, Germany and has taught languages, ethics, and acting at secondary schools. She has also trained adults in theatre, body work, Quigong and dance, written plays for children and has produced four volumes of poetry in German: Songs from the Furnace, Night Book, Woman Taking Flight, and In the Fissures of Time. Stuart Friebert is the founder of the Creative Writing Program at Oberlin College, Ohio, co-founded Field Magazine, the Field Translation Series, and Oberlin Press. He won the 2015 Ohioana Poetry Award and has published 15 books of poems, as well as 15 volumes of translations, anthologies, and prose. 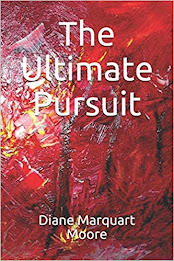 Another mover and shaker for Pinyon Publishing, 23847 V66 Trail, Montrose, CO 81403. Kudoes Gary and Susan!